Pre Season Snowfall. What it looks like in the Alps! Winter is just around the corner, and the 16/17 season has started with a bang! 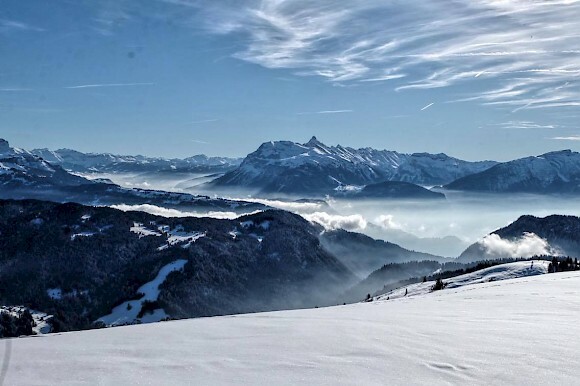 Consistently cold temperatures and some good early snow fall in the Portes Du Soleil – as much as 161cm in places – has had everyone hailing it as the best November conditions they’ve seen for years! With so much pre-season powder to play with, the Mountain Mavericks crew thought it would be rude not to, and have been getting out touring and snow-shoeing for their first slices of winter heaven. 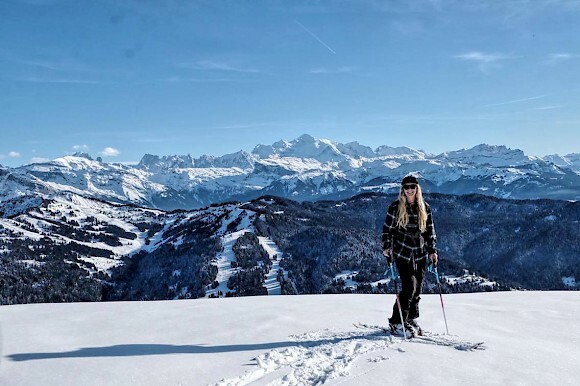 Daisy: “Arriving in Morzine a couple of days ago to substantial amounts of fresh snow and clear skies, stoke in town was high! Breathing in the fresh mountain air and taking in that this was home for Winter, inevitably my thoughts turned to riding. Only a short month had passed since my last ski tour in New Zealand, but I still couldn’t wait to get those legs and lungs going again! So after getting our gear together, the Mountain Mavericks crew headed from the recently taken over Mountain Mavericks Le Cottage and out of town to tackle Mont Chery, a beautiful peak surrounded by snowy trees and amazing views in every direction. The fairly short tour up became quite hard work with deep snow in places slowing the pace, but spirits were high and the excitement for the new Winter wonderland brought by November tangible. It was a tough slog straight up the piste, but finally making the summit we were rewarded with that amazing feeling of being on top of the world, and of course, the stunning view! Daisy is our newest member of the Mountain Mavericks team and she will be keeping you up to date with Mountain Mavericks and the growing team. If you’re jealous of her pre-season mountain fun – then contact us. We have a great deal for Christmas in our remaining chalet and have some availability in Le Cottage before Christmas. Flights are still very cheap and if this weather holds you’ll be skiing some amazing conditions! Get in touch with our lovely bookings team and they’ll sort out everything for you.